1. Pray for the Pastors and family. 2. Pray for revival, renewal, restoration, deliverance, a mighty move of God, cooperation in the body, souls to be saved in 2017, sign , wonders, miracles and Global Life Church family. 5. Pray for the mobilization of the church to use its gifting. 7 Pray for your friends and family members to be saved. 8. Pray that the glory of God be manifested in your personal life and family. 9. Pray for the Virgin Islands (St. Thomas, St. Croix, St. John, and Water Island) pray for economic prosperity and peace in our Islands. 12. Pray for our President Barak Obama. 13. Pray for help in the different ministries and for persons to position themselves in the ministry. 14. Pray for the vision of Global Life Church to come forth in its fullness. 15. Pray for the GLC Radio and Internet and Television ministry to reach to the ends of the earth. 16. Pray for a spirit of wisdom, knowledge, and understanding and for a heart of the Pastor. 17. Pray for spiritual growth to be enhanced during this season of prayer & fasting. 18. Pray as you drive in your cars in St. Thomas; pray for a spirit of revival, reformation, restoration and refreshing glory rain to fall. 20. Pray for the peace in Israel. 21. Pray for the Covenant Churches and their pastors. 22. Pray and Fast for Souls to be added into The Kingdom of God. Praise the name of the Lord for bringing you into a bright new year. Thank God for His ultimate power that established GLC. Ask God to remove everything that is acting as a hindrance to your prayers and progress. Ask God to arise in His wrath and destroy every satanic plan against your life, home, island and family. Ask God to make your life attract millions of people unto Him. Pray for peace in all areas of your life throughout 2017. Father, let me enjoy - joy unspeakable and fill my life with your glory throughout the New Year. Please, fill my mouth with laughter and give me a lot to dance and shout about in the 2017. Father, in this year, make a way for me where people said there is no way. Let us ask God to contend with those contending with Pastor Oral Hazell and his family lsa.49:24-26. Let us pray for Pastor Oral Hazell will help them to break more new grounds for GLC worldwide. Acts 14:23 - And when they had ordained them elders in every church, and had prayed with fasting, they commended them to the Lord, on whom they believed. Acts 13:2 - As they ministered to the Lord, and fasted, the Holy Ghost said, Separate me Barnabas and Saul for the work whereunto I have called them. Acts 13:3 - And when they had fasted and prayed, and laid [their] hands on them, they sent [them] away. Esther 4:16 - Go, gather together all the Jews that are present in Shushan, and fast ye for me, and neither eat nor drink three days, night or day: I also and my maidens will fast likewise; and so will I go in unto the king, which [is] not according to the law: and if I perish, I perish. 1 Corinthians 7:5 - Defraud ye not one the other, except [it be] with consent for a time, that ye may give yourselves to fasting and prayer; and come together again, that Satan tempt you not for your incontinency. Luke 2:37 - And she [was] a widow of about fourscore and four years, which departed not from the temple, but served [God] with fastings and prayers night and day. 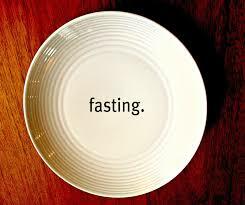 Mark 9:29 - And he said unto them, This kind can come forth by nothing, but by prayer and fasting. 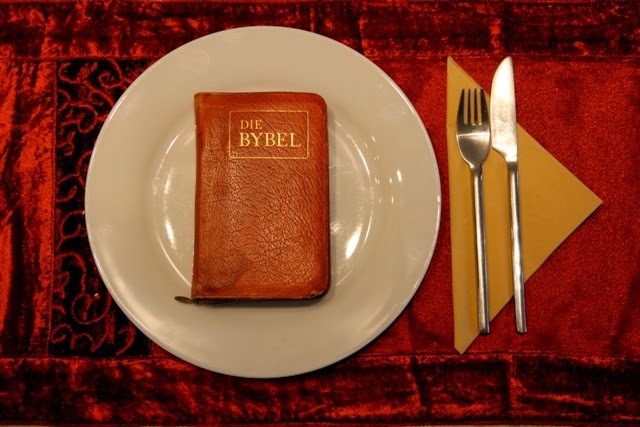 Matthew 4:2 - And when he had fasted forty days and forty nights, he was afterward an hungred. 2 Corinthians 11:27 - In weariness and painfulness, in watchings often, in hunger and thirst, in fastings often, in cold and nakedness. 1 Corinthians 9:27 - But I keep under my body, and bring [it] into subjection: lest that by any means, when I have preached to others, I myself should be a castaway. Acts 9:9 - And he was three days without sight, and neither did eat nor drink. Mark 2:18 - And the disciples of John and of the Pharisees used to fast: and they come and say unto him, Why do the disciples of John and of the Pharisees fast, but thy disciples fast not? 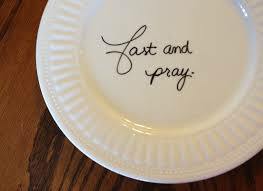 Isaiah 58:3 - Wherefore have we fasted, [say they], and thou seest not? [wherefore] have we afflicted our soul, and thou takest no knowledge? Behold, in the day of your fast ye find pleasure, and exact all your labours. Ezra 10:6 - Then Ezra rose up from before the house of God, and went into the chamber of Johanan the son of Eliashib: and [when] he came thither, he did eat no bread, nor drink water: for he mourned because of the transgression of them that had been carried away. Judges 20:26 - Then all the children of Israel, and all the people, went up, and came unto the house of God, and wept, and sat there before the LORD, and fasted that day until even, and offered burnt offerings and peace offerings before the LORD. Luke 18:12 - I fast twice in the week, I give tithes of all that I possess. Matthew 5:6 - Blessed [are] they which do hunger and thirst after righteousness: for they shall be filled. Daniel 10:3 - I ate no pleasant bread, neither came flesh nor wine in my mouth, neither did I anoint myself at all, till three whole weeks were fulfilled. Isaiah 58:6 - [Is] not this the fast that I have chosen? to loose the bands of wickedness, to undo the heavy burdens, and to let the oppressed go free, and that ye break every yoke? Psalms 69:10 - When I wept, [and chastened] my soul with fasting, that was to my reproach. Esther 4:3 - And in every province, whithersoever the king's commandment and his decree came, [there was] great mourning among the Jews, and fasting, and weeping, and wailing; and many lay in sackcloth and ashes. Ezra 8:21 - Then I proclaimed a fast there, at the river of Ahava, that we might afflict ourselves before our God, to seek of him a right way for us, and for our little ones, and for all our substance. Exodus 34:28 - And he was there with the LORD forty days and forty nights; he did neither eat bread, nor drink water. And he wrote upon the tables the words of the covenant, the ten commandments. Hebrews 10:17 - And their sins and iniquities will I remember no more. Luke 5:33 - And they said unto him, Why do the disciples of John fast often, and make prayers, and likewise [the disciples] of the Pharisees; but thine eat and drink? Luke 4:2 - Being forty days tempted of the devil. And in those days he did eat nothing: and when they were ended, he afterward hungered. Matthew 16:19 - And I will give unto thee the keys of the kingdom of heaven: and whatsoever thou shalt bind on earth shall be bound in heaven: and whatsoever thou shalt loose on earth shall be loosed in heaven. Matthew 6:16 - Moreover when ye fast, be not, as the hypocrites, of a sad countenance: for they disfigure their faces, that they may appear unto men to fast. Verily I say unto you, They have their reward. Zechariah 7:5 - Speak unto all the people of the land, and to the priests, saying, When ye fasted and mourned in the fifth and seventh [month], even those seventy years, did ye at all fast unto me, [even] to me? Jonah 3:5 - So the people of Nineveh believed God, and proclaimed a fast, and put on sackcloth, from the greatest of them even to the least of them. Daniel 6:18 - Then the king went to his palace, and passed the night fasting: neither were instruments of musick brought before him: and his sleep went from him. Jeremiah 36:9 - And it came to pass in the fifth year of Jehoiakim the son of Josiah king of Judah, in the ninth month, [that] they proclaimed a fast before the LORD to all the people in Jerusalem, and to all the people that came from the cities of Judah unto Jerusalem. Jeremiah 14:10 - Thus saith the LORD unto this people, Thus have they loved to wander, they have not refrained their feet, therefore the LORD doth not accept them; he will now remember their iniquity, and visit their sins. 2 Chronicles 20:3 - And Jehoshaphat feared, and set himself to seek the LORD, and proclaimed a fast throughout all Judah. 1 Kings 21:27 - And it came to pass, when Ahab heard those words, that he rent his clothes, and put sackcloth upon his flesh, and fasted, and lay in sackcloth, and went softly. 1 Kings 19:8 - And he arose, and did eat and drink, and went in the strength of that meat forty days and forty nights unto Horeb the mount of God. Judges 20:1 - Then all the children of Israel went out, and the congregation was gathered together as one man, from Dan even to Beersheba, with the land of Gilead, unto the LORD in Mizpeh. Acts 27:33 - And while the day was coming on, Paul besought [them] all to take meat, saying, This day is the fourteenth day that ye have tarried and continued fasting, having taken nothing. Isaiah 58:7 - [Is it] not to deal thy bread to the hungry, and that thou bring the poor that are cast out to thy house? when thou seest the naked, that thou cover him; and that thou hide not thyself from thine own flesh? 2 Samuel 12:21 - Then said his servants unto him, What thing [is] this that thou hast done? thou didst fast and weep for the child, [while it was] alive; but when the child was dead, thou didst rise and eat bread. 2 Samuel 12:16 - David therefore besought God for the child; and David fasted, and went in, and lay all night upon the earth. 2 Samuel 1:12 - And they mourned, and wept, and fasted until even, for Saul, and for Jonathan his son, and for the people of the LORD, and for the house of Israel; because they were fallen by the sword. 1 Samuel 31:13 - And they took their bones, and buried [them] under a tree at Jabesh, and fasted seven days. James 1:5 - If any of you lack wisdom, let him ask of God, that giveth to all [men] liberally, and upbraideth not; and it shall be given him. Matthew 6:18 - That thou appear not unto men to fast, but unto thy Father which is in secret: and thy Father, which seeth in secret, shall reward thee openly. Ezra 8:23 - So we fasted and besought our God for this: and he was intreated of us.